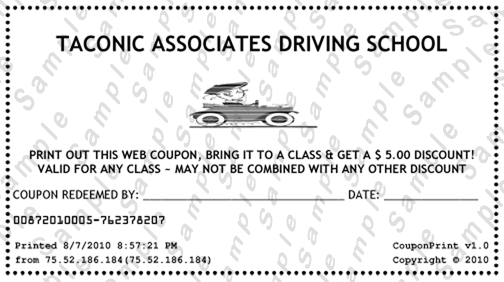 Group Discounts are Available If you are an individual, you can print your very own discount coupon for $5.00 off the Pre License Class (may not be combined with any other discount)! Sorry, this is not valid for the 6 hour Point and Insurance Reduction Program (PIRP). If you have a group & want to offer this as part of your corporate benefits package, or have a business that wants to lower its drivers’ pool insurance rates, contact us for your customized group discount! 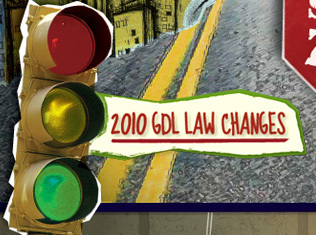 Schedule Your Road Test On-Line! 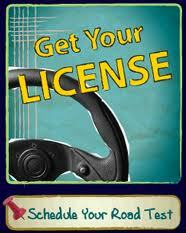 We want you to pass your road test. Are you ready? Call us and there will be a message on our machine indicating if class is cancelled due to the weather. We will record any new message by 7 AM!